Can You Legally Buy Better Credit? Low credit scores can have far-reaching effects. If you’re shopping around for a mortgage or another kind of loan, a low credit score can lead to a higher interest rate or worse, denial. Some consumers have found a loophole—or so they think. It's called piggybacking. As an authorized user on someone else’s credit account, the account history will then appear on your credit report. If the account on which you are an authorized user has a positive credit history, you can see a boost in your credit score. If you don’t have a good credit score, adding several of these accounts can increase your score enough to get approved for a loan or offered a better interest rate. Some pay a fee to “borrow” someone else’s better credit information put on a credit report. You pay the company a fee ranging from a few hundred to a few thousand dollars depending on the number of accounts you want to be added. You provide your name and social security number. The company finds people with good credit accounts to add you as an authorized user to one or more of their accounts. Once the credit card company has reported to the credit bureaus, you’re taken off the accounts. The account information is reflected in your credit score and remains on your credit report for seven years. The positive payment history can offset other negative information on your credit report and increase your credit score. Even though it’s legal—for now—it’s dishonest. When you pass off someone else’s good credit as your own, you’re misleading creditors and lenders. Essentially, you’re telling them that you’ve paid your bills on time when in reality you haven’t. If you get approved for a loan using these methods, you’ve gained approval under false pretenses. 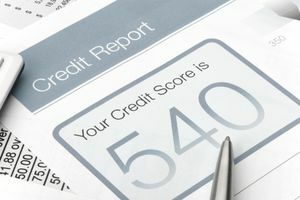 The credit scoring system is in place for a reason—to give creditors and lenders a system by which they can make sound lending decisions. While there are some exceptions, the credit scoring system is more honest about whether or not you’ll pay your bills than you are. When you get approved for a loan or credit card without the spending habits to pay on time, it’s very likely that you’ll default and end up hurting the good credit score you paid hundreds, even thousands of dollars to obtain. You have to provide your social security number to be added as an authorized user on the other person’s account. Your social security number lands in the hands of the person who adds you to his (or her) accounts. The way the process works, you don’t know who this person is or how private they will keep your personal information. Whenever you give out your social security number, there’s a risk that your identity can be stolen. Don’t think that just because you already have bad credit, that additional damage can’t be done if your identity is stolen. This credit repair tactic of faking a good credit history is one of the factors that caused the credit crisis of 2008. Many borrowers used their fake credit scores to qualify for loans they truly couldn't afford. Because of it, credit scoring algorithms either discount authorized user accounts completely, or they don't consider authorized user accounts that have been added for credit boosting purposes. Instead of spending thousands of dollars renting someone else’s good credit, spend that money on improving your credit. Take inventory of your debts and put together a plan to pay them off. The discipline you gain through earning a good credit score will benefit you much more in the long run than passing off someone else’s good credit as your own.